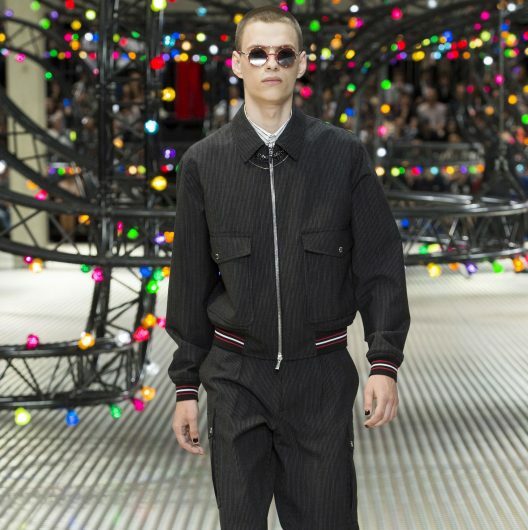 The notion of travel is emerging as something of a fixation for the Spring 2017 menswear season. 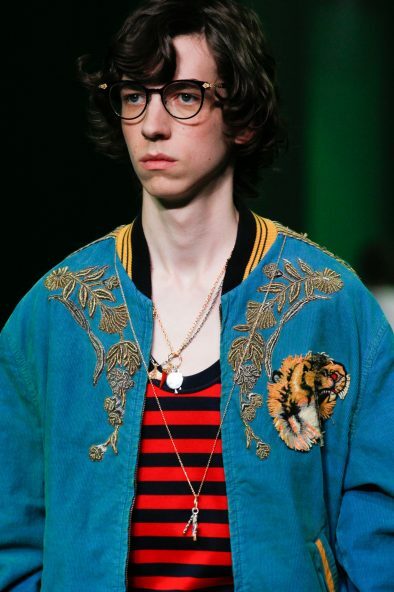 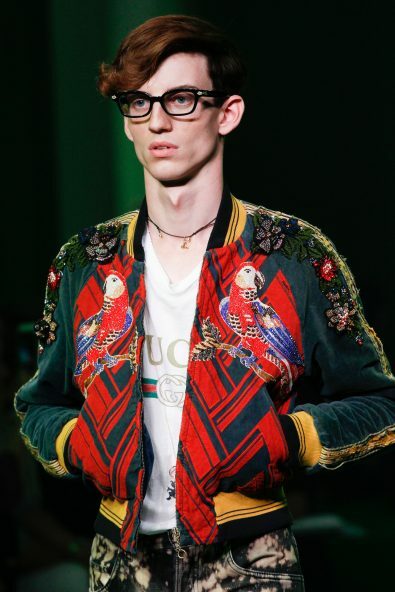 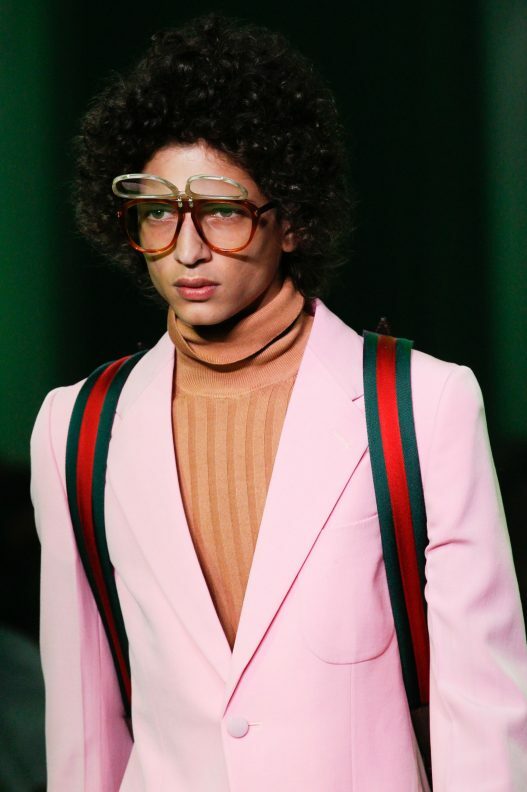 This season, Gucci’s eyewear is inspired by the 70’s eyewear shapes with gold embellishments and tortoiseshell. 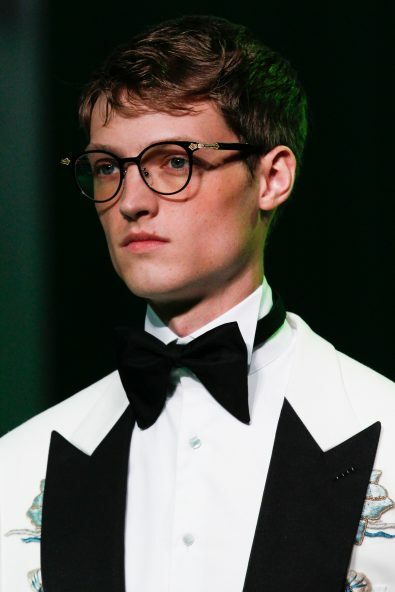 Each glasses is shaped in a soft and delicate way, with embellished details on the frames and temples. 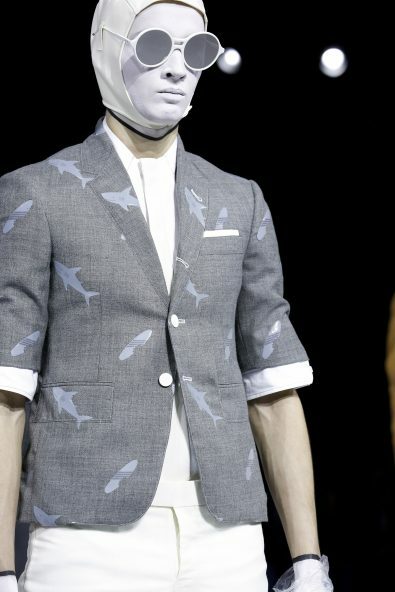 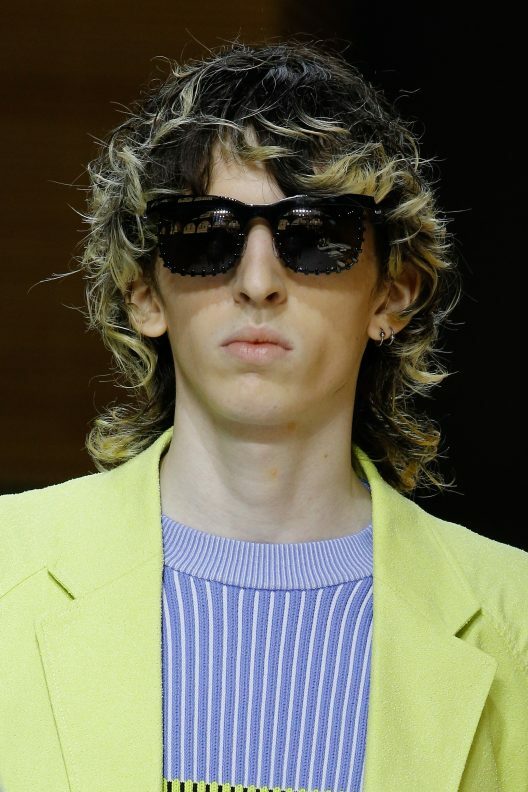 A collection inspired by the elements of scuba suits showcased in the most surrealist form, mid-century surfer dudes dressed in aloha shirts and vacation shorts suits. 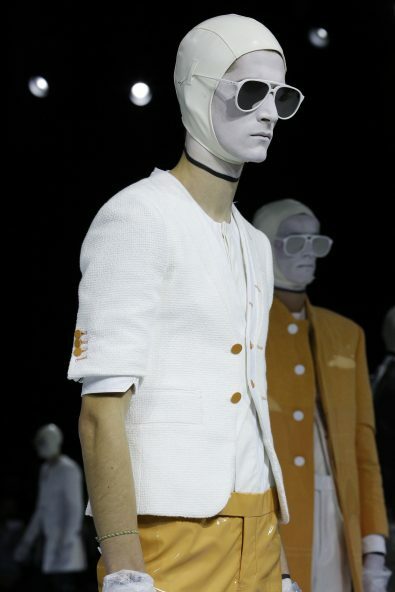 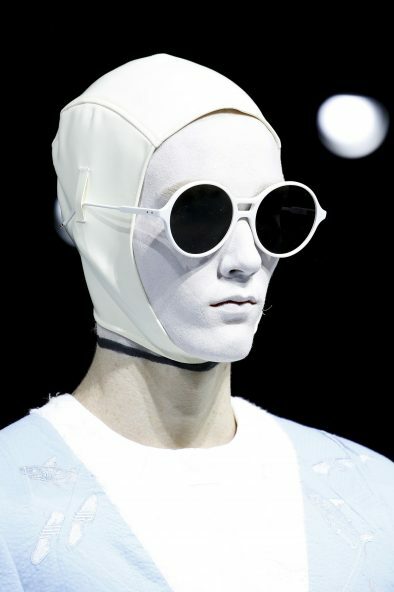 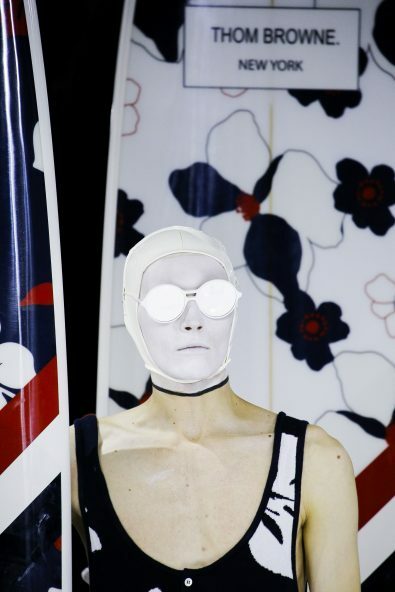 Thom Browne’s eyewear this season has thick white frames with a double bridge that we’ve also observed in other designers. 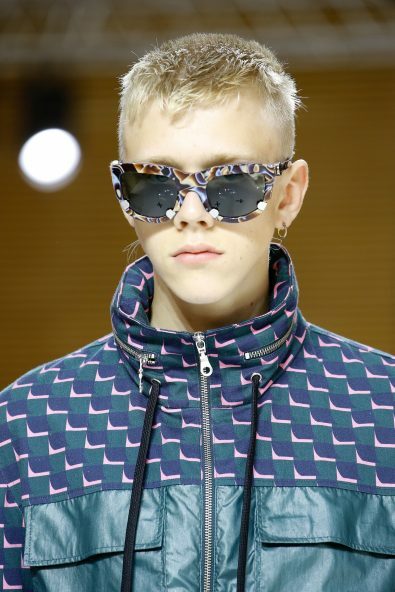 It was throwback to the 1990s again with a club-life homage, the collection was very much inspired by the club kids scene from the 90’s. 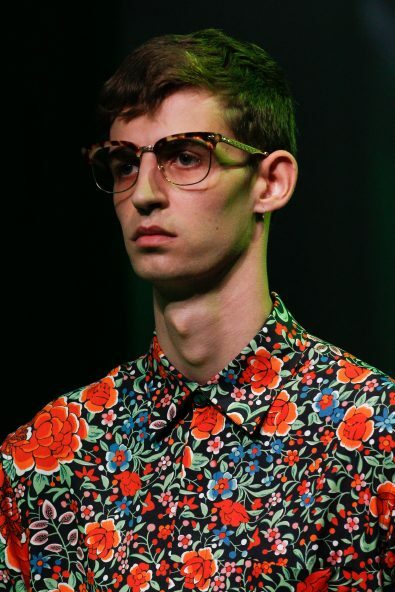 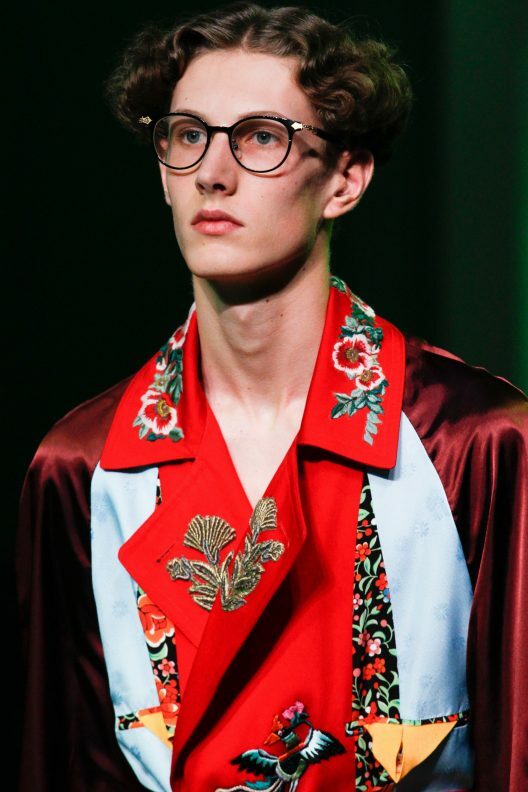 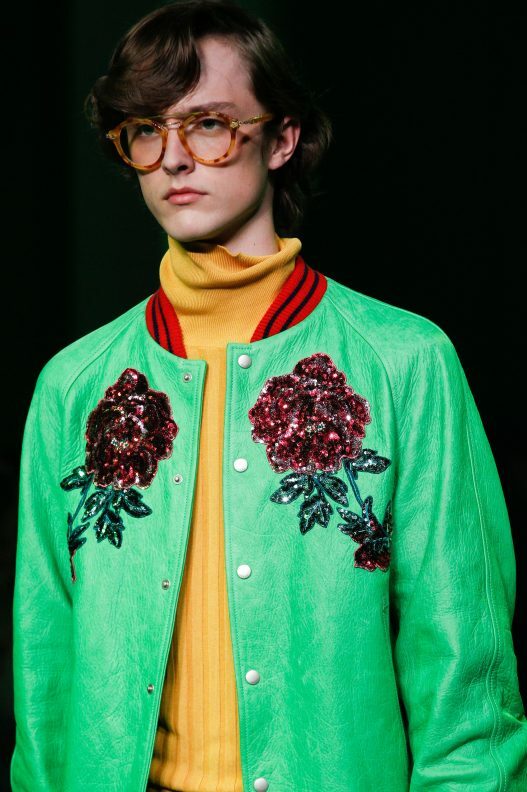 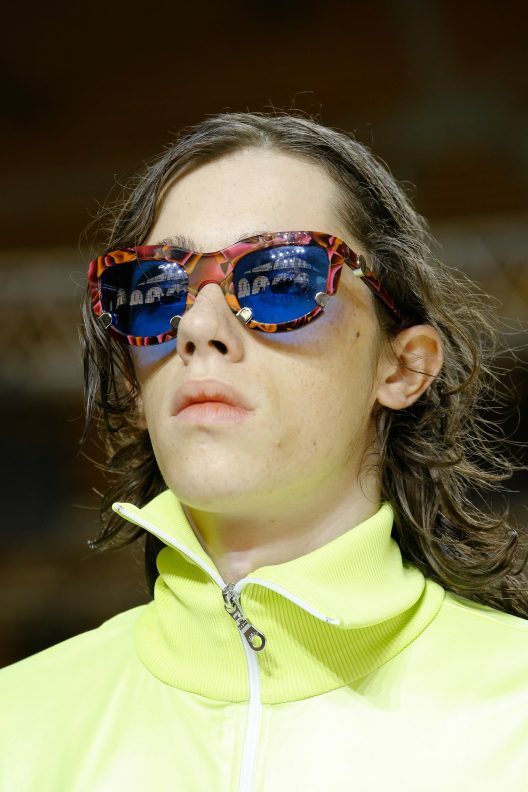 Each eyewear had a psychedelic touch from the shape of the frames to the spikes embellishments to the lava-lamp psychedelic prints. 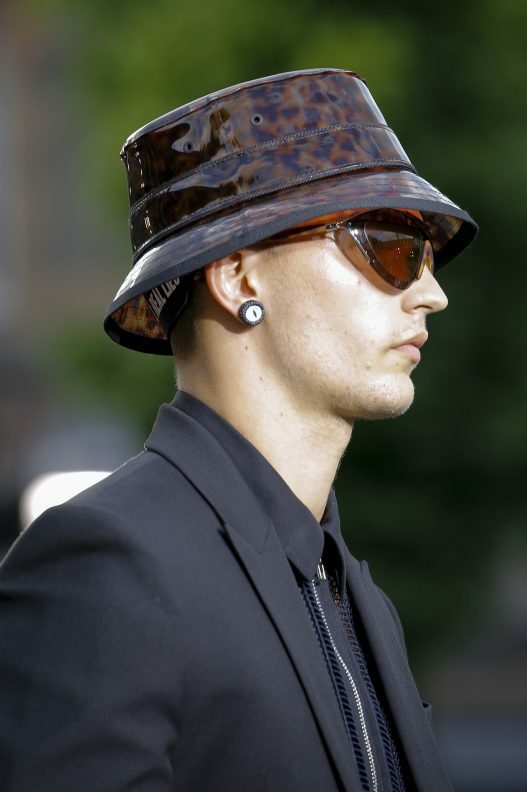 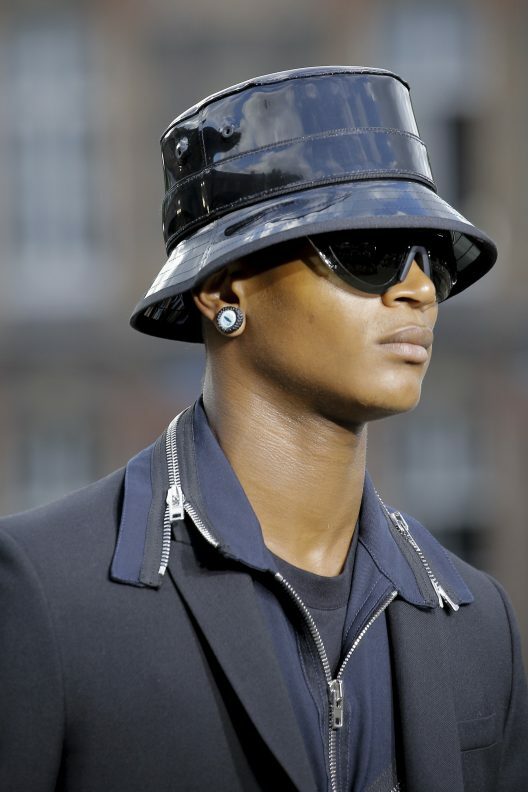 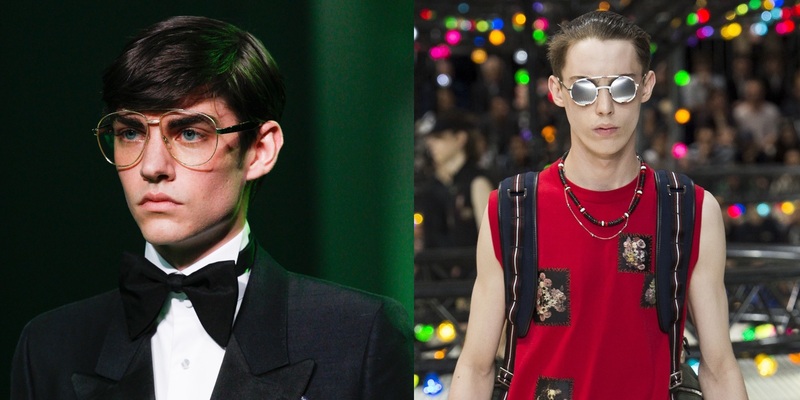 It was all about the contrast in this season’s Dior Homme Eyewear. 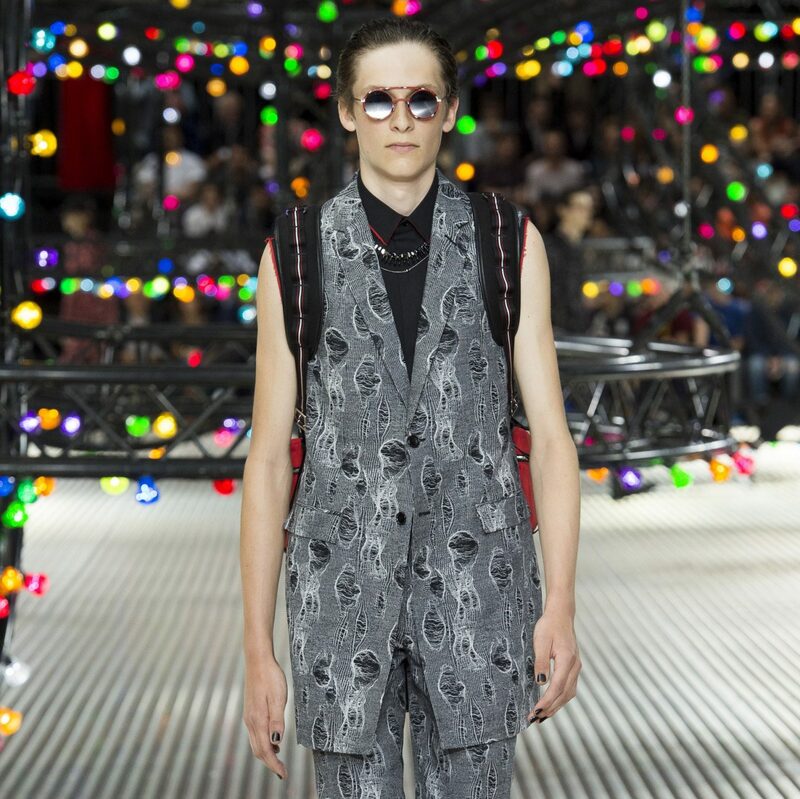 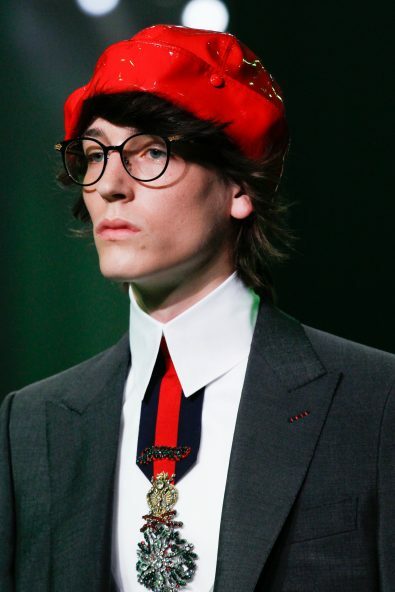 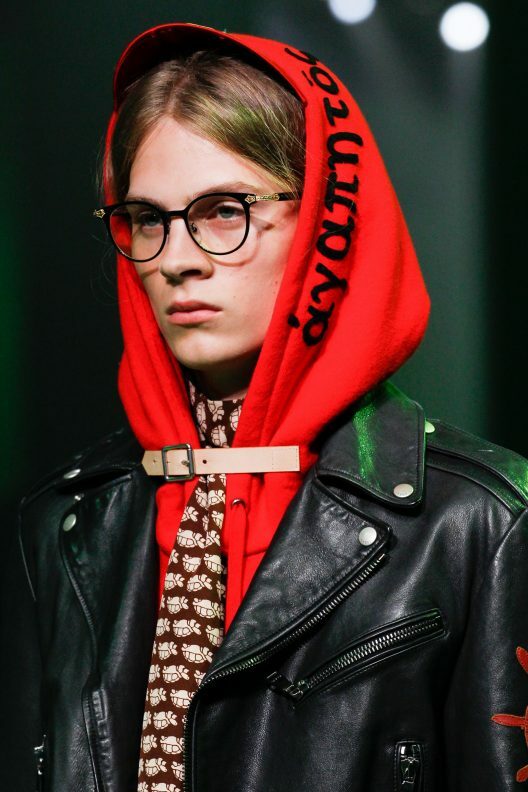 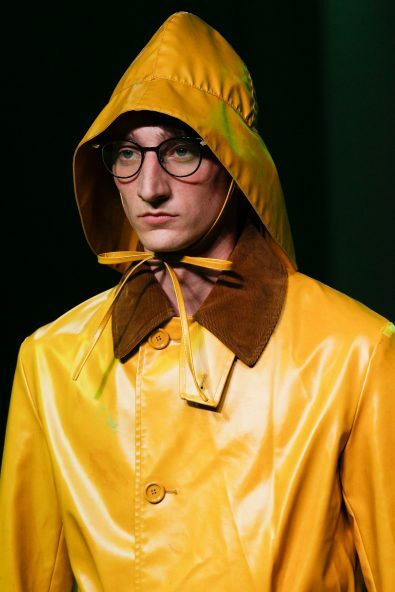 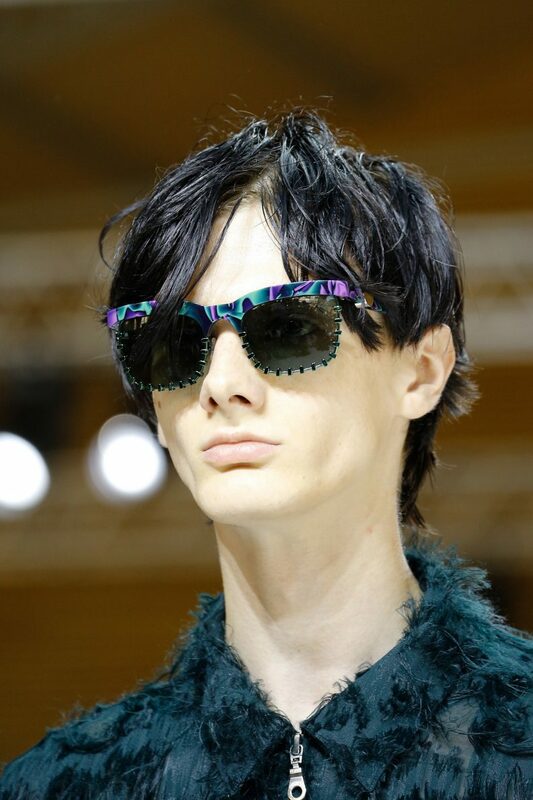 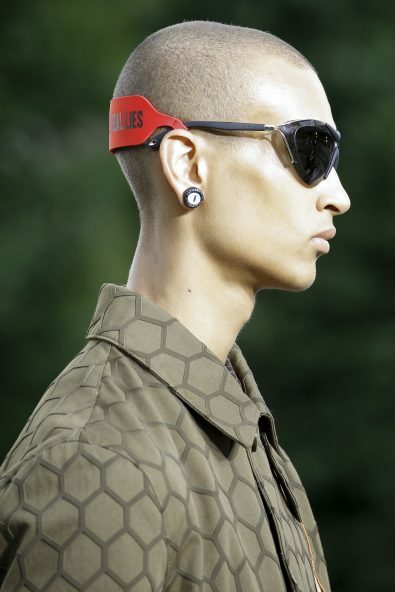 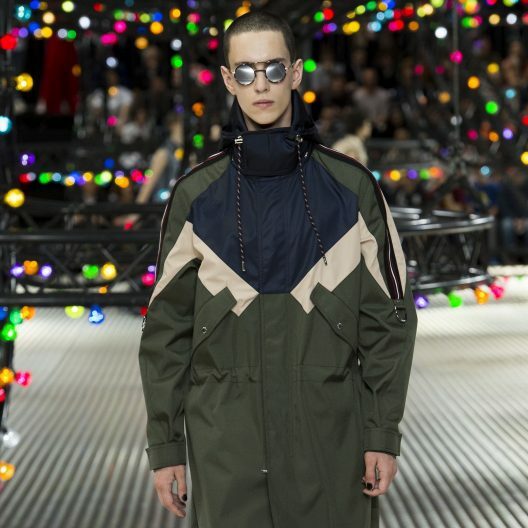 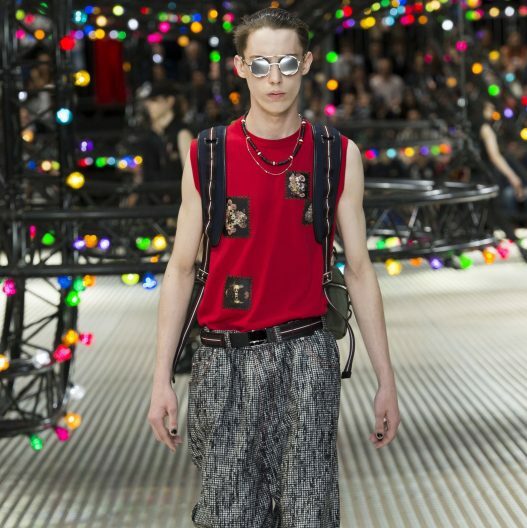 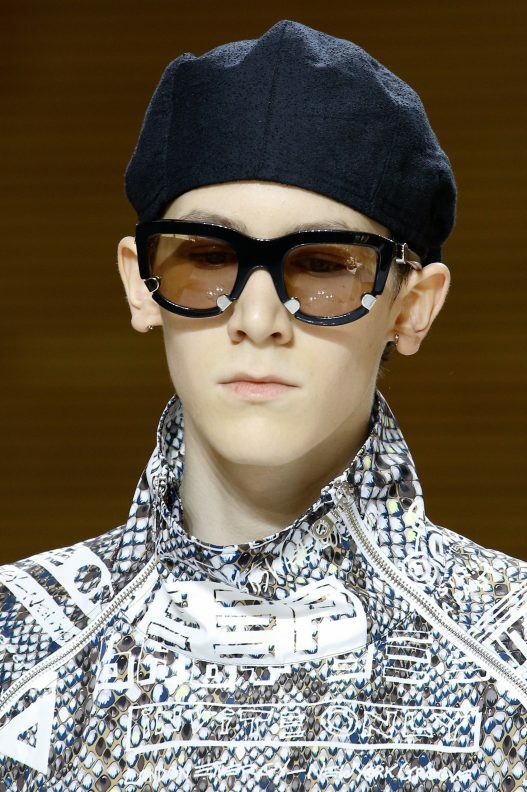 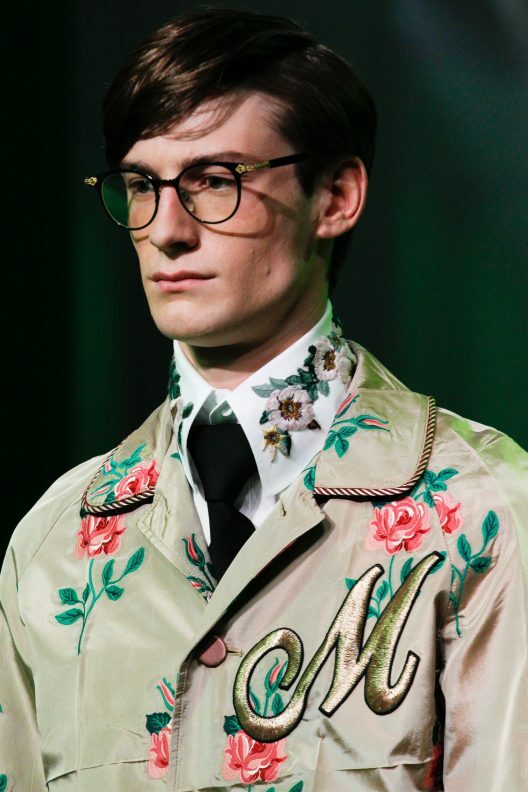 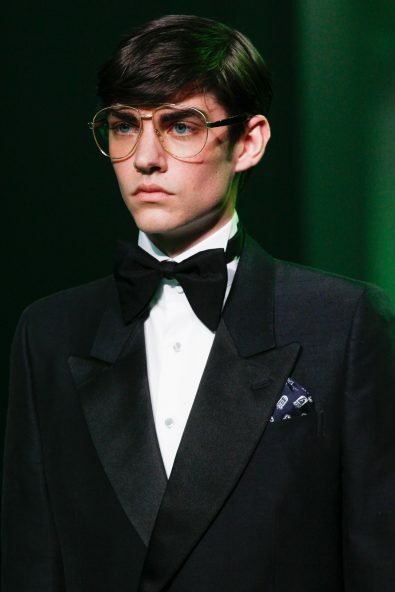 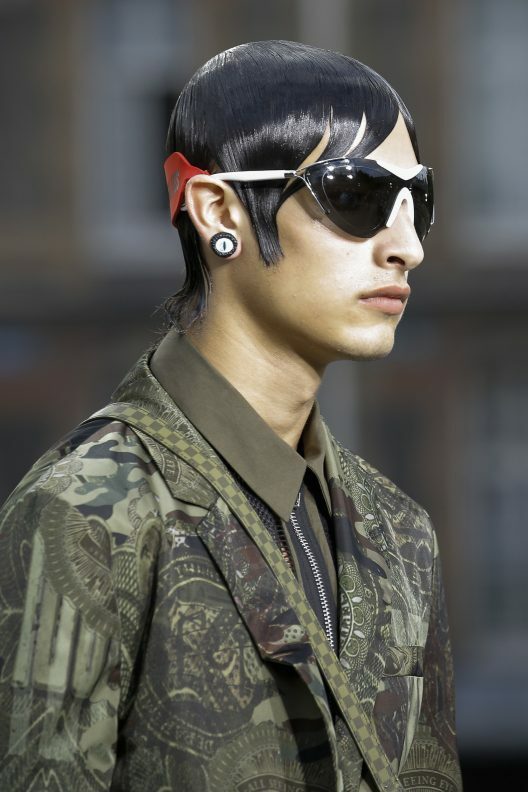 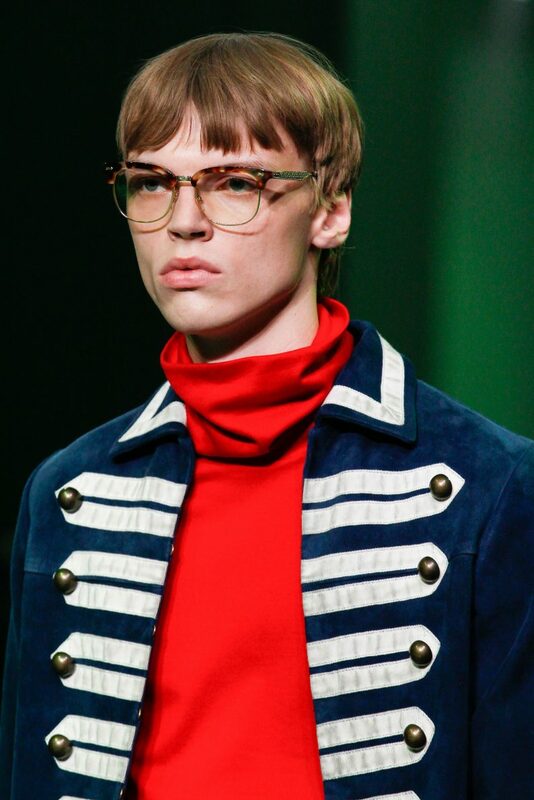 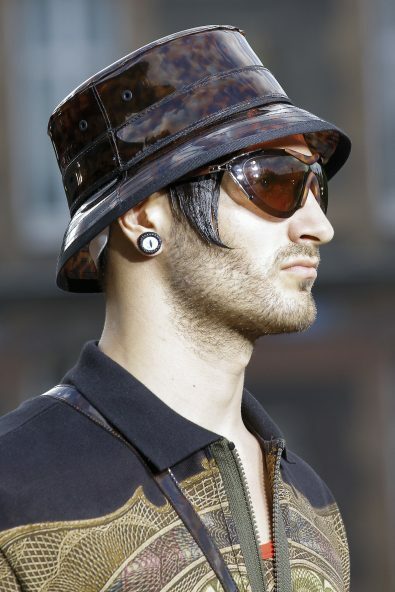 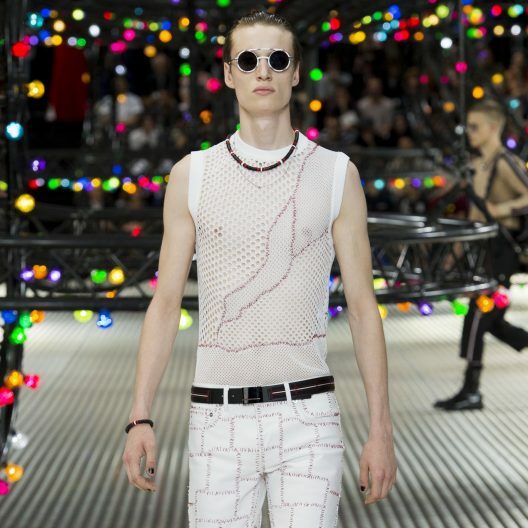 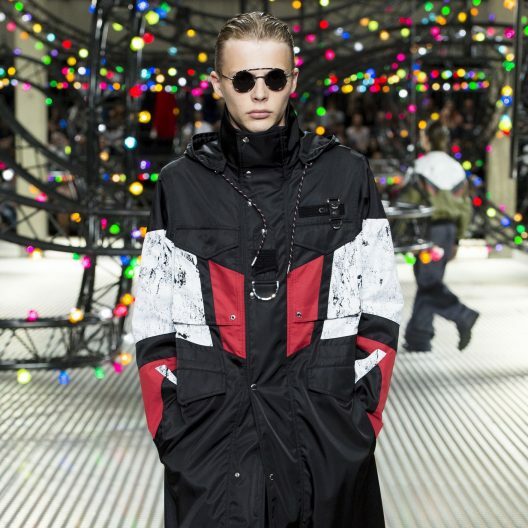 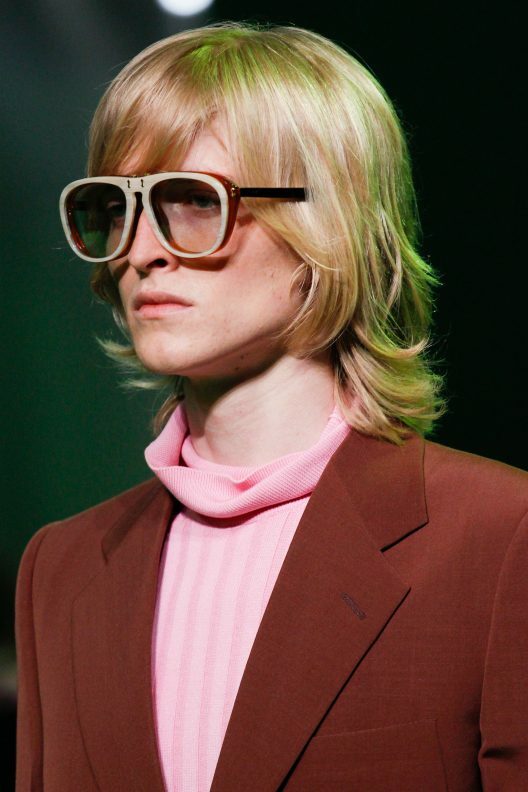 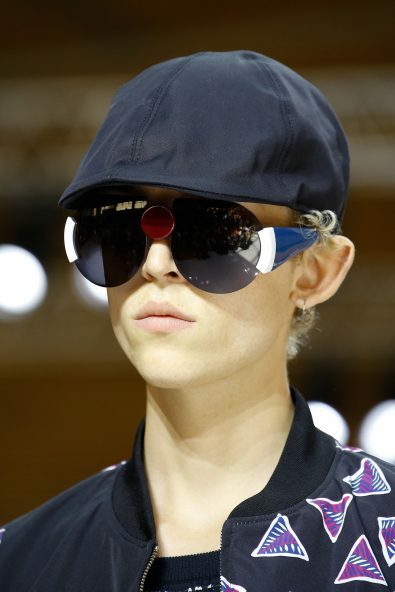 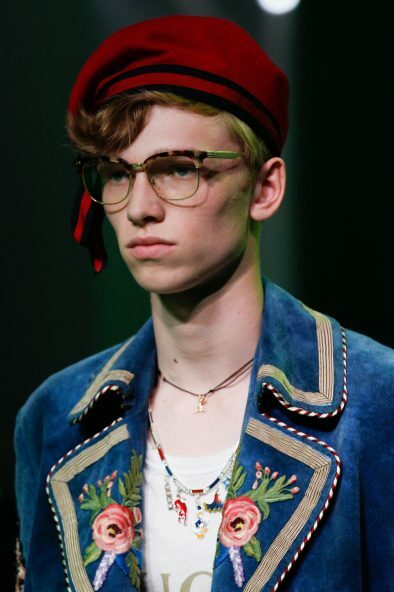 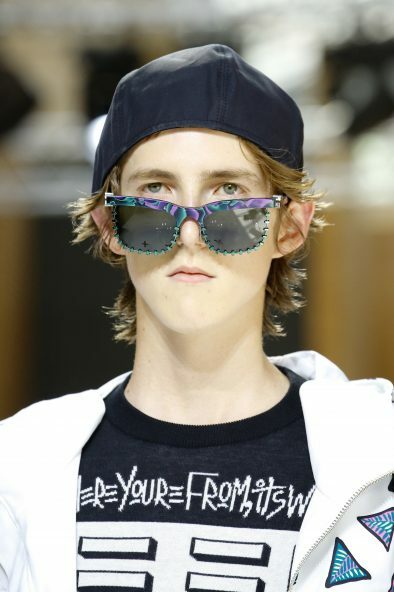 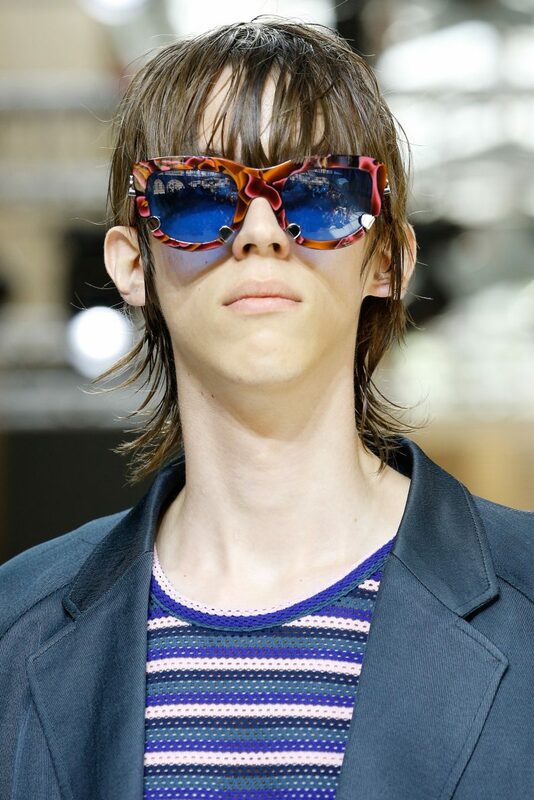 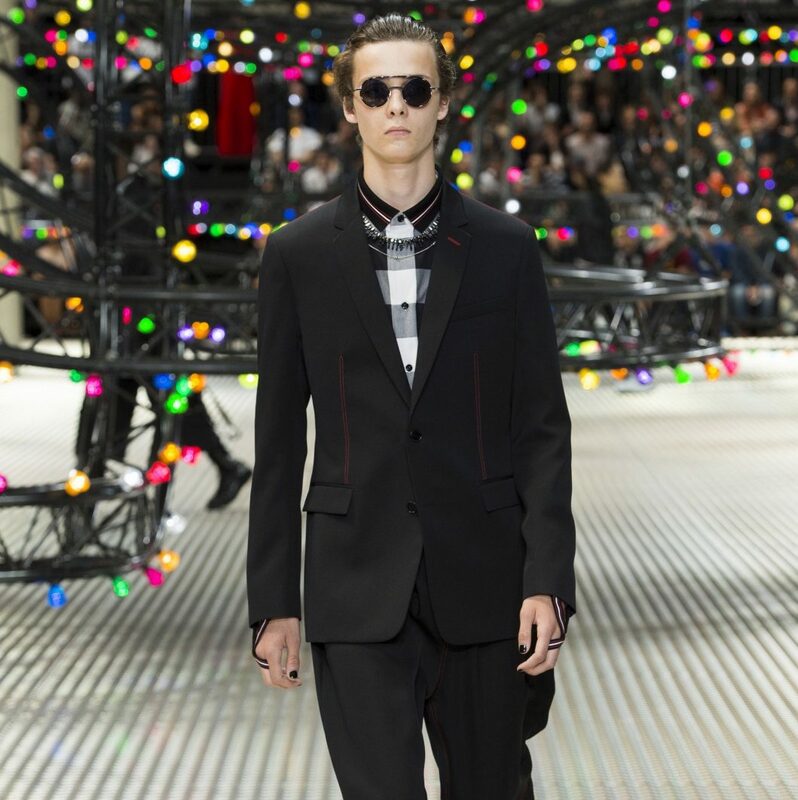 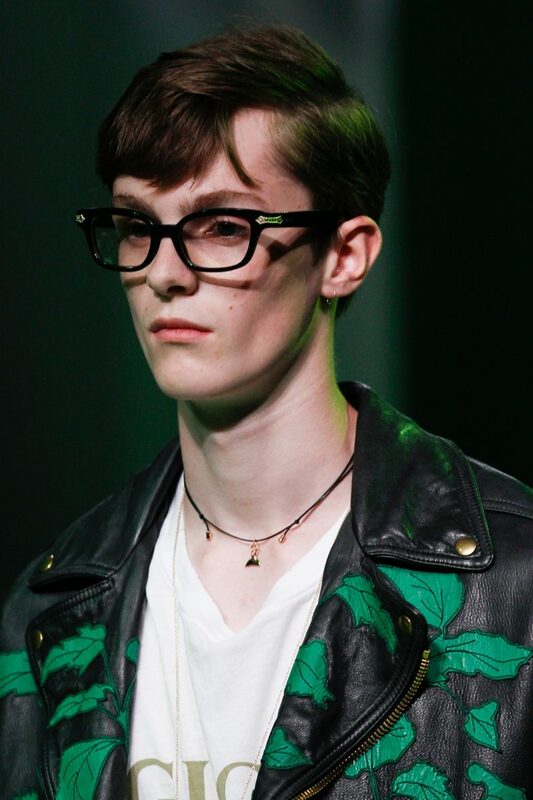 Glasses were inspired between the Punk and New Wave with sports elements as showcased on the runway in Paris. 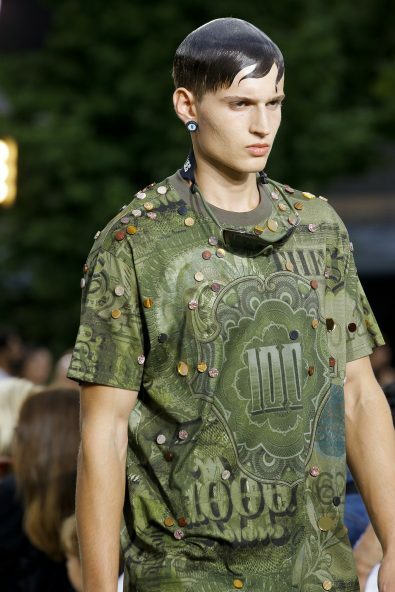 Warrior-like models in combat gear and sportswear pieces undoubtedly spell Givenchy. 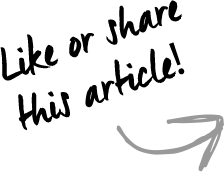 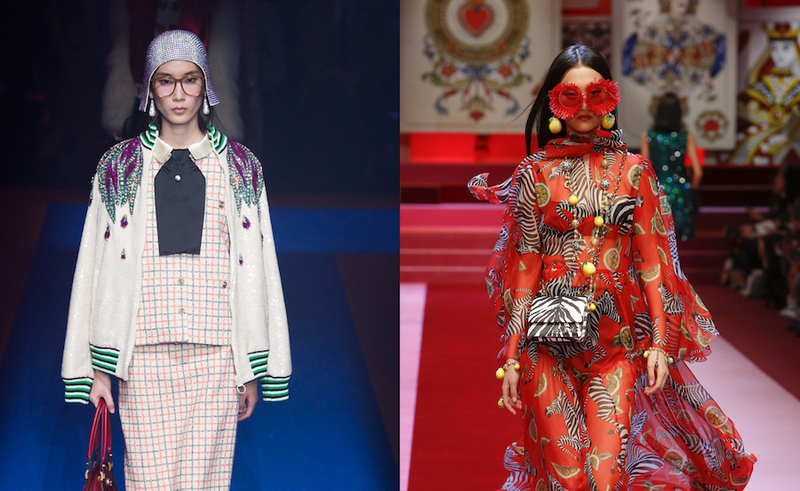 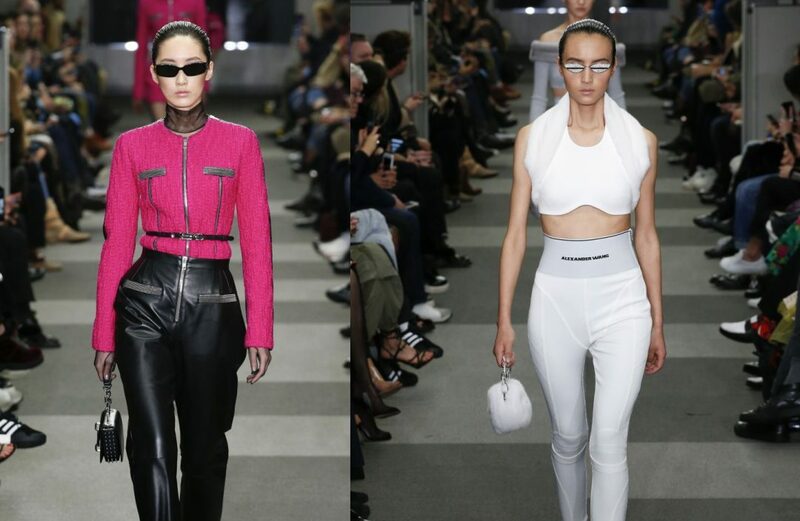 The eyewear seen on the runway is inspired by the sportswear trend more than anything else. 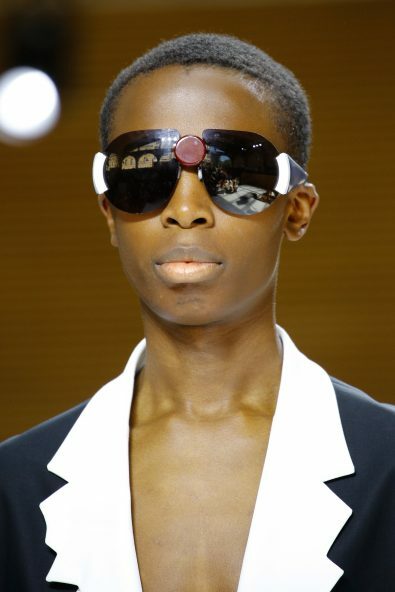 One of the uncommon element spotted was the rubber strap that hooks the glasses to the back of the models head with a “Realize. 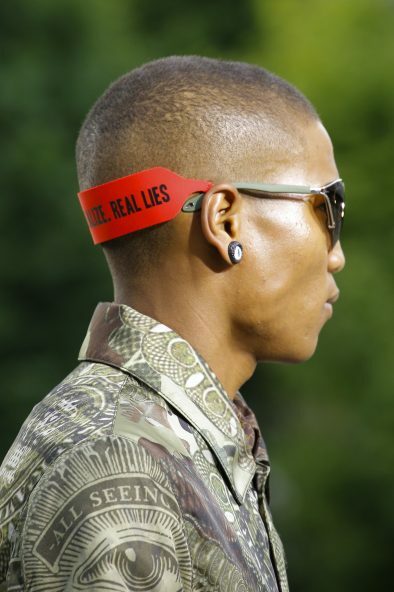 Real Lies” message scribbled in black. 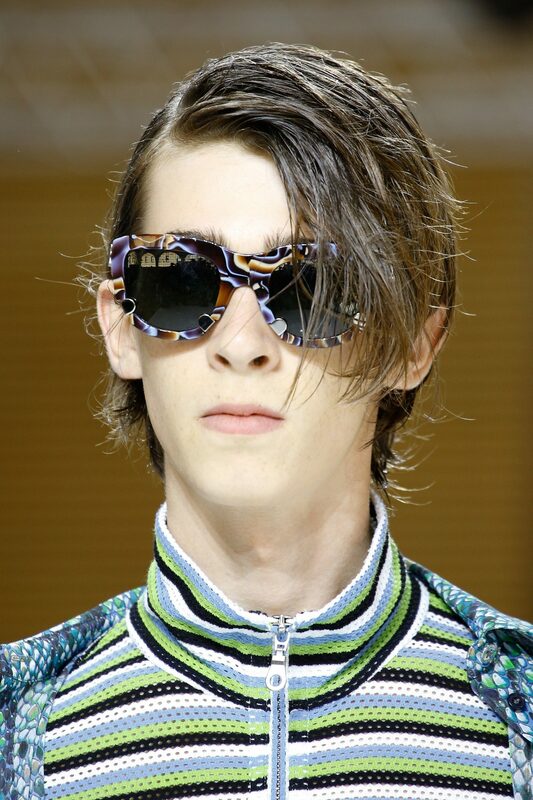 The shape of the glasses were unusual, circa 1990s Justine Timberlake/K Fed style.